No, the Birlas don't own it. Yet. 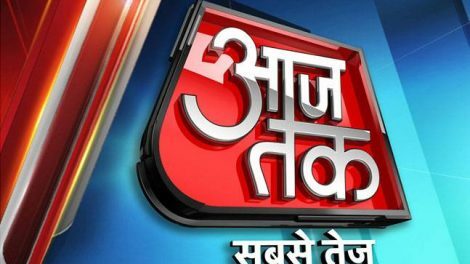 The India Today group owns Aaj Tak and the India Today news channel (formerly Headlines Today). It also publishes the Indian editions of the Reader's Digest, Cosmopolitan, as well as the long-running periodical India Today and Business Today. The history of the group has interesting anecdotes. Vidya Vilas Purie was one of those who migrated during Partition, and travelled from Lahore to Delhi. He started a printing press, Thomson Press (which is still a part of the group): He became a multi-millionaire. He decided to buy himself a Rolls Royce which was, and is, the ultimate status symbol of success. He went to London to get one. The salesman of the showroom snubbed him and told him he could not afford it and not to waste his time. He bought one, brought it to Delhi. At that time only descendants of erstwhile princely families drove in chauffeurs-driven Rolls Royces. Puri was the only commoner driving one on Delhi roads. In 1975, with daughter Madhu Trehan and son Aroon Purie, they began publishing the fortnightly India Today news magazine. Mr. Aroon Purie is now in the process of handing over the baton to the younger generation; namely, his son Ankoor Purie as well as his daughter Koel Purie Rinchet. Madhu Trehan owns newslaundry.com. The holding company here is Living Media, based out of Connaught Circus, Delhi. The top shareholders are World Media Pvt. Ltd (55.3%), IGH Holdings Pvt. Ltd (27.5%), All India Investment Corporation Pvt. Ltd (10.34%). The known to be owners, Arun Purie and Ankoor Purie own 3.61% and 2.17% respectively, as of September 2016. The shareholding details of the two firms, World Media Pvt. Ltd as well as All India Investment Corporation Pvt. Ltd are missing from the public domain. The third, however, has been a topic of much discussion. IGH Holdings Pvt. Ltd As of September 2015, the company was owned completely by Essel Mining and Industries Ltd (100%). This itself is part of the Aditya Birla Group with interests in mining . Though there has been talk of an exit, none of it has materialized. Setting this aside, Living Media also owns 56.92% in the listed entity, TV Today Network Ltd. This looks after all the TV channels in the portfolio, namely, Aaj Tak, Tez, the likes (Thomson Press looks after the licensed magazines). This company further owns 100% in TV Today Network (Business) Limited. Aroon Purie owns 0.49% in TV Today Network Ltd. He took home a pay packet of Rs. 6,70,84,720 ; his daughter, Ms. Koel Purie got Rs. 93,52,372, while the CEO himself, Mr Ashish Kumar Bagga was paid Rs. 1,90,47,892. Profit wise, the company made a profit of Rs.81,03,27,552, up from Rs. 61,31,80,451 in the FY13-14. Kumar Roy has done some incisive reporting on the group and its affairs. Definitely recommended. Parting shots: India TV is owned by Independent News Service Ltd. However, there seems to be literally no information about it on the public domain. Newslaundry.com has made some very informative infographics on almost every media company in the nation, with owners and available political links attached. Can we have an easily available disclaimer about each news channel/ newspaper's ownership? Maybe easily accessible on their websites? Yes, it is time to set up a new broadcasting regulator. The Press Council Of India and the News Broadcasting Standards Authority haven't stemmed the rot. Nor has the Ministry of I & B. About time we get an impartial and apolitical body for this purpose. Network 18 is another behemoth. Colors and MTV India. CNBC TV18 and CNN-IBN (now CNN-News 18). firstpost.com and moneycontrol.com. News18 India and IBN-Lokmat. It is also owned by Reliance. Raghav Bahl started Network 18 from scratch, starting out in 1993. It needs some believing, considering the above-mentioned holdings and their penetration into consumers’minds. So how is it that he left his own baby, nay, grown-up-and-full-of-dreams teenager in the hands of Reliance? Some years back, losses across the varied business interests of the group had left it with a debt of close to Rs. 1,400 crore. Large debts needed large lenders. And thus, Raghav Bahl contacted Mukesh Ambani. As an in-depth report in The Mint says: In early 2012, Mukesh Ambani’s RIL bought debentures in Network18’s promoter group companies, convertible into shares at any time within 10 years, infusing much-needed cash into Network18. As a side note, this sounds familiar to the below: The agreement gave VCPL the right to convert the loan into 99.99 percent of RRPR’s equity—effectively, complete ownership—not just during the period of the loan but even after—“at any time during the tenure of the Loan or thereafter without requiring any further act or deed on the part of the Lender.” Puzzlingly, this meant that regardless of repayment, VCPL could officially take over RRPR at any time it wanted. For all practical purposes, this was a sale of 29.18 percent of NDTV to VCPL—a greater share than the individual holdings of Radhika and Prannoy Roy. This is from a superlative Caravan report highlighting the contours of the deal between Reliance and NDTV. Same modus operandi, apparently. On May 29, Reliance announced that it would convert its debentures into shares, spending around Rs. 4,000 crore to take 100% control of the company. Thus, in 2014, the entire Network18 group passed into the hands of Reliance. This was followed by a large number of executives at the channel resigning; two of them were Rajdeep Sardesai and his wife, Sagarika Ghose. . In the latter's farewell letter, there is (perhaps) a hint of why these two esteemed journalists chose to walk away. At CNN-IBN, an incredible team of professionals brought total commitment and integrity to reporting the news. We put journalism first and because of that we became a trusted and much loved brand. A free fearless press is the infrastructure of democracy--without it the term “citizenship” is diminished indeed. The words of John Tusa, the venerable former director general of BBC World Service come to me: “Journalists cannot become the outriders of authority...but the freedom we have is the freedom to be responsible." CNN-IBN was always free and responsible! That’s why it became such an incredible success, so beloved of viewers. We created magic and that magic touched millions of lives, and the magic will remain with each of us always! What now? Life goes on. One of the things Jio users might have noticed is the library of television content they have access to. Much of it has been made available due to this deal. The news has, subtly, been affected too. For example, a news article on the controversial Reliance KG-D6 basin was debated and written about on every news website. Except firstpost.com. Guess why. Even prior to the deal, the officials at Reliance were reaching out to CNN-IBN, asking them to discontinue coverage of Arvind Kejriwal and his allegations against Mukesh Ambani. At this juncture, a call to Sardesai seemed like a good idea. After all, RIL indirectly owned Network18. “They wanted a complete blackout of Kejriwal and AAP,” said another Network18 official who was privy to the conversation but did not want to be identified. “Rajdeep refused, saying it was just not possible. He stood by the spirit of journalism. So they were miffed that the channel had not boycotted the AAP." Moral of the story: Next time you don’t like the news, don’t change the channel. Buy it. The company behind Times Now. Times Now is mysterious. 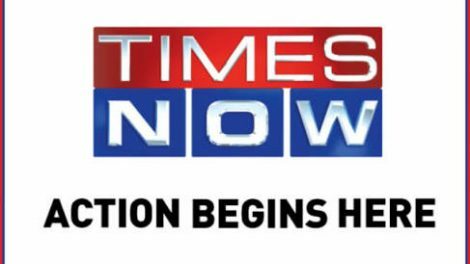 The fully owned subsidiary of BCCL (Bennett Coleman & Co. Ltd), TGBCL (Times Global Broadcasting Company Ltd), owned Times Now (now Times Now is under BCCL itself). Despite being what it is, as of March 2014, BCCL wrote down its entire investment in TGBCL, to 0. This, after investing an estimated 514 crores in the company, and earning Rs. 24 crores as profit in FY2013-14. What is making it seem even more ironic is that the Times Network CEO declared in November 2015 that Times Now, along with Movies Now, Romedy Now, ET Now and Magicbricks Now, should contribute 15-18% to BCCL’s revenues. Let’s put that into perspective: just the profit before tax for BCCL was Rs. 1489 crores in 2010-11. Even by that (outdated and not-very-accurate) yardstick, these networks are expected to earn Rs. 223 crores. And apparently, the most visible and known of these channels is earning nothing. So then, what about the Times Group? The Times Group, better known as Bennett Coleman & Co Ltd is everywhere. It owns The Times of India, The Economic Times, Times Now, Movies Now, Gaana.com, (the recently-opened) Bennett University in Greater Noida, Radio Mirchi, Filmfare, Femina. And counting… You can know a bit about the history here. From the financial details obtained about the company, it was seen that major shareholders in the company were Bharat Nidhi Ltd (24.41%), Ashoka Viniyoga Ltd (18.02%), Camac Commercial Co. Ltd (13.3%), Sanmati Properties Ltd. (9.75%) and Arth Udyog Ltd. (9.31%) . It’s the shareholding pattern in the individual companies which is much, much more interesting. Sanmati Properties Ltd Sanmati Properties Ltd itself owns shares in Arth Udyog Ltd, Bharat Nidhi Ltd and Matrix Merchandise Ltd ; as regards its ownership, Ashoka Marketing Ltd effectively owns Sanmati Properties Ltd. The company declares itself as having no fixed assets and inventory. Ashoka Marketing conducted its AGM for FY2015-16 at 10, Daryaganj, New Delhi; note this address. The annual report declares Sanmati Properties Ltd to be its Wholly Owned Subsidiary (WOS), and thus it includes both the companies holdings, combined. While it declares Sanmati Properties to be owned by it (100%), among its holdings are Bharat Nidhi Ltd (26.42%), Mahavir Finance Ltd (20%), Matrix Merchandise Ltd (22.98%), Pearl Print Well Ltd (22%) and TM Investments Ltd (22%). As for who owns the company, the highest stake in the company itself is held by, surprisingly, Matrix Merchandise (27.07%), followed by: Vineet Kumar Jain (20%), Mahavir Finance Ltd (18.9%), Bharat Nidhi Ltd (13.33%), Arth Udyog Ltd (12.77%) and Mukul Sahu Jain (6.67%). It also reports no business activities . Bharat Nidhi Ltd Bharat Nidhi owns: Vasuki Properties Ltd (49.99%), Matrix Merchandise (23.9% ) Mahavir Finance Ltd (20%). Its relation with BCCL is regarding ‘Distribution of Newspaper & Magazines in Delhi & NCR’, an agreement since 29th June 1990. The top shareholders of the company are Matrix Merchandise Ltd (20.55%), Mr. Vineet Jain (20.21%), Sanmati Properties Ltd (16.15%) and Ashoka Marketing Ltd (10.27%). In the same report, there are 2 directors up for reappointment. Of these, Mr. Nityanand Singh is declared to be a director in Sanmati Properties and Arth Udyog Ltd, even on a company called Sahu Jain Services Ltd. The other director, Ms. Revati Jain, is a director on the board of Ashoka Marketing Ltd, Arth Udyog Ltd, Sanmati Properties Ltd, and General Body Member for Times Foundation. Under fixed assets, its tangible assets include only and only a note counting machine. Ashoka Viniyoga Ltd The annual report of Ashoka Viniyoga Ltd. has, among other things, a secretarial audit done by Nityanand Singh & Co. Nityanand Singh himself is a director in three related companies. Its business activity is declared to be ‘Sale and Distribution of Newspaper‐ “The Times of India (NIE edition)”’. It holds shares in Camac Commercial Company Ltd (20.49%), Vasuki Properties Ltd (25.02%), Bennett Advisory Services (25%), Combine Holding Limited (34.49%), PNB Finance& Industries Ltd (20.36%), Artee Viniyoga Limited (29.69%) and Nandravrat Properties & Developers Limited (26.67%). Among the shareholders in the company, Mr. Samir Jain (16.26%) appears, while Camac Commercial Co. Ltd. (45.95%) and Artee Viniyoga Limited (11.91%) and Combine Holding Limited (7.86%) and PNB Finance & Industries Limited (8.56%) are the others. Tangible assets of the company are two: a building in Lonavla and a laptop. Camac Commercial Co. Ltd Camac Commercial also had Nityanand Singh & Co. perform secretarial audit of the company for the FY2015-16. The company holds shares in: Ashoka Viniyoga Ltd (45.95%), Combine Holding Ltd (26.77%), Artee Viniyoga Ltd (25%), Sahu Jain Services Ltd (25%), Times Publishing House Ltd (20.83%), Vasuki Properties Ltd (24.97%) and Radio Network Ltd (21.05%). The controlling stake on the company is too fine to matter; Artee Viniyoga Ltd (20.571%), Ashoka Viniyoga Ltd (20.487%), Combine Holding Ltd (16.357%), PNB Finance & Industries Ltd (3.965%) and Punjab Mercantile & Traders Ltd (7.473%). Samir Jain and Meera Jain own 17.558% and 8.044%, respectively. Tangible assets include only a safe deposit vault and a laptop worth Rs. 1,10,040, which depreciated by Rs. 59,605 in one year . Arth Udyog Ltd. Arth Udyog Ltd declares that it ‘does not have any significant business activity as of now alongside its non business key activity being deployment of surplus funds.’ The company holds shares in Nandaravat Properties and Developers Limited (26.67%), Bennett Advisory Services Ltd (25%) and Mahavir Finance Ltd (20%). The stakeholders are Mr Vineet Jain holding 33.67% in the company, the largest stake in the company. Bharat Nidhi Ltd (18.37%), Matrix Merchandise (14.53%), Sanmati Properties Ltd (9.8%), Ashoka Marketing Ltd (9.39%), TM Investments (7.25%) and Mahavir Finance Ltd (6.68%) Its fixed assets include only a computer worth Rs 1,10,565, which depreciated by Rs 41,137 in the FY. . Again, the AGM of the company shareholders was held at 10, Daryaganj, New Delhi. Office Addresses The registered offices of Ashoka Marketing, Camac Commercial as well as Bharat Nidhi Ltd are in the same building: Express Building, Bahadur Shah Zafar Marg, New Delhi 110002, Delhi. The following is a list of addresses of some of the above companies and other related ones: P N B Finance & Industries Limited Address: 10, Daryaganj, New Delhi‐110002 Artee Viniyoga Limited Address: 10, Daryaganj, New Delhi‐110002 Bennett Advisory Services Limited Address: 10, Daryaganj, New Delhi‐110002 Nandravrat Properties & Developers Limited Address: 10, Daryaganj, New Delhi‐110002 Vasuki Properties Limited Address: 10, Daryaganj, New Delhi‐110002 Sahu Jain Services Ltd Address: 10, Daryaganj, New Delhi – 110002 Sanmati Properties Ltd Address: 10, Daryaganj, New Delhi It’s hard to estimate the number of related companies; According to Paranjoy Guha, BCCL’s Annual Report in 2010-11 listed 63 subsidiary companies and 4 joint ventures. It also declared that the holdings of the Jain family members in BCCL was a cumulative 1.03%. Only. What these companies do, is hard to understand. Both Ashoka Marketing as well as Sanmati Properties Ltd declare that they do ‘not have any significant business activity as of now alongside its non-business key activity being deployment of surplus funds.’ And if you need more evidence, have a look at the directors. Mr. Punit JainMs. Revati JainMr. Vijay BhushanMr. B. Chintamani RaoMr. Nityanand SinghMr. Mukesh GuptaSource:WebsiteMr. Karam Chand JainMr. Punit JainMs. Divya KohliMr. Ashish ChawlaSource:WebsiteMr. Rajagopalan SundarMr. Karam Chand JainMs. Amita GolaMr. Gaurav JainSource:WebsiteMr. Surender Kumar JainMr. Karam Chand JainMr. Nityanand SinghSource:Annual Report15-16Ms. Revati JainMr. Ashok SenMr. Sanjay KumarMr. Rajagopalan SundarSource:WebsiteMr. Nityanand SinghMs. Shweta SaxenaMr. Anupam Kumar GargSource: Website Board Of Directors Discussion: If the Jain family owns the Times Group, then why this web? Why these companies, which have no real business concern, and merely exist to transfer the funds from one place to another? This is arguably, the nation's premier news outlet we are talking about. The probable reasons for this are said to include, tax evasion, transferring of funds, or hiding behind a 'corporate veil'. None of these look good allegations. Over to the Times. All financial confusions resolved by my sister from-another-mother-&-father Shivani. Cheers, sis! The eponymous Bennett and Coleman did own the company, buying it in 1892. In 1948, it was sold from one Indian to another, Ram Krishna Dalmia to Sahu Jain, though there seems to be something fishy in the way it happened: In the early '60s, as the tax-noose was tightening around Dalmia, he was reportedly given the option by the Finance Ministry to produce overnight Rs 2 crore and clear his tax dues if he wanted to avoid imprisonment. Dalmia secured the money from Jain in exchange for his two biggest money-spinners, Bennet Coleman (the publishers of the Times of India group) and Rohtas Industries. It is alleged that Jain secured ownership of the two companies on the condition that he would give them back to Dalmia after his problems were sorted out. Jain let him down by refusing to give back either of the two companies. From that time onwards, the Jain family has owned the Times Group, with the grandsons now running the company. Sahu Jain’s son, Ashok Jain took control of the business; now his sons Vineet Jain and Samir Jain are in charge of the company. There are more family members; Wikipedia lists 3 other children of Sahu Jain, but the details remain hazy; Samir Jain has a wife, Meera Jain and a daughter, Trishla Jain. Unrelatedly, Mr Ashok Jain was also involved in an infamous investigation case, back in 1998. It’s not as if people haven’t tried to get to the bottom of this behemoth of a business group; Paranjoy Guha Thakurta took apart the 2010-11 annual report of BCCL and explained almost all the numbers related to it, and their inference. For instance, here's a pretty illustrative statement: The fact that BCCL’s “other income” during 2010-11 aggregated Rs 296.76 crore against Rs 374.21 crore earned as revenue from sale of publications, implies that the company can theoretically distribute its newspapers free of charge and still earn handsome profits’ What he also brings to the fore, is the history of BCCL’s corporate dealings. Here’s an excerpt from the April 2010 report of the sub-committee (of which he was a part) of the Press Council of India (PCI) entitled “Paid News: How Corruption in the Indian Media Undermines Democracy”: BCCL devised … (an) ‘innovative’ marketing and PR (public relations) strategy. In 2005, ten companies, including Videocon India and Kinetic Motors, allotted unknown amounts of equity shares to BCCL as part of a deal to enable these firms to receive advertising space in BCCL-owned media ventures. The success of the scheme turned BCCL into one of the largest private equity investors in India. At the end of 2007, the media company boasted of investments in 140 companies in aviation, media, retail and entertainment, among other sectors, valued at an estimated Rs 1,500 crore. It is 2016, and the so-called ‘private treaty’ agreement is still here: Online classified platform Quikr has raised $19.4 Mn (INR 130 Cr) in a debt financing round led by Brand Capital, the private treaty arm of media company Bennett, Coleman and Co. Ltd (BCCL). As part of the deal, BCCL has also entered into a ‘privacy treaty deal’ with Quikr. According to the terms of the deal, BCCL will publish ads for predetermined number of years in ET Now, Times Now, Economic Times and Times of India, as per people close to the development. Therefore, BCCL is stepping into e-commerce too! With the investment in Quikr, BCCL will soon have an investment in three big home-grown consumer internet start-ups. The company is in advanced talks to pick up a small stake in Flipkart Ltd for Rs.500 crore and had picked up a stake in Snapdeal (Jasper Infotech Pvt. Ltd) in February this year. While BCCL has thus laid down standards for the rest of the industry. The so-called private treaty deals were first introduced by BCCL in 2004 to build a large portfolio of holdings. Such deals were once controversial, especially because they also involved positive media coverage. But since then, such deals have become commonplace, and meet mandated disclosure norms. At BCCL, private treaties are handled by the company’s Brand Capital unit. HT Media Ltd, the publisher of Mint and Hindustan Times, has its own version of such deals. Kumar Roy, on his blog, claims that in the financial year ending March 2014, Vinit Jain took home Rs. 46.37 crore. In comparison, as he states, the India Today CEO took home Rs. 4.4 crore while the BCCL CEO took home Rs. 11 crore in the financial year ending March 2013. Jaideep Bose, Editorial Director, TOI, got around Rs. 1.9 crore in FY14. And even more fascinating is what then-BCCL CEO Ravi Dhariwal says: Our supplements or features are not news. To say that our Education Times (a supplement) is news, or our Delhi Times (another daily supplement) is news is to change the meaning of news. They are not under the editorial control of The Times of India editor. Our main paper is news—and there is no paid news. We would like to believe that. We really would. NDTV was the first 24-hour news channel in India. Starting with a news show, The World This Week, screened by Doordarshan in 1988, the husband and wife duo of Prannoy and Radhika Roy began their impact on Indian news and TV. The Roys were paid 2 lakh per episode; more specifically, their company was. Hello, NDTV (New Delhi Television Limited). The show, and the anchors, presented Indian viewers a radically different way of news coverage which is now taken as a staple, but which was a revelation at that time; look at old Doordarshan news clips, and you will understand why. When foreign investors came calling, specifically Rupert Murdoch (of phone hacking-and-News of the World-infame), NDTV partnered with the media mogul’s Star network to launch Star News in 1998. 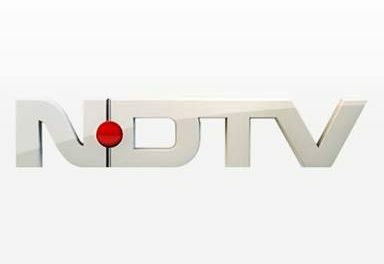 In 2002, the five-year contract ended and NDTV went and set up its own channels, NDTV 24×7, and NDTV India. Cut to present. What makes NDTV the biggest is not these facts; it is the fact that almost all of the main faces in news journalism came from here. Raveesh Kumar? NDTV India, and host of the excellent ‘Ravish Ki Report’. Arnab Goswami? Left in 2004 to head Times Now. Rajdeep Sardesai? Left in 2005 to set up CNN-IBN. Barkha Dutt? Consulting Editor, NDTV. Vikram Chandra? Executive Director of NDTV Group. Bhupendra Chaubey? Left NDTV in 2005 for CNN-IBN. The ownership of NDTV rests with RRPR, a holding company consisting of shares owned by both Radhika and Prannoy Roy; note, apart from these, they own shares separately, as individuals too. The recent controversy surrounded the mystery of a company, VCPL (linked with Reliance through the now classic company-holding-another-company), giving an about 400 crore loan to NDTV , in 2009, in return for control over RRPR, and thus NDTV. Basically, it looked like Reliance buying into NDTV. Fascinatingly, this didn’t happen; the company, along with the ownership of the loan and the deal passed into the hands of another individual, Mahendra Nahata. The deal itself looks murky, as it was effectively paying 50 crore to Reliance for ownership of a company with 400 crore in its books. The deal, and NDTV as a whole, is explained 10 times better in this Caravan article Is there a link with Reliance? Mr. Mahendra’s son, Anant Nahata, was the promoter of Infotel Broadband Services Private Limited (IBSPL). You see, this company bidded for and won 4G spectrum in May 2010. In June of that year, the company was renamed Reliance Jio Infocomm Limited. More reading on the deal can be found here. All these shadowy dealings have now come out of the closet, and as of now, SEBI is investigating why NDTV failed to disclose information of any of these deals. How fares the balance sheet? As per its Annual Report 2014-15, the company reported a loss of Rs. 25.5 crores, down from Rs. 53.5 crores in the preceding period. The balance sheet has a total loss of Rs. 199.3 crores though. 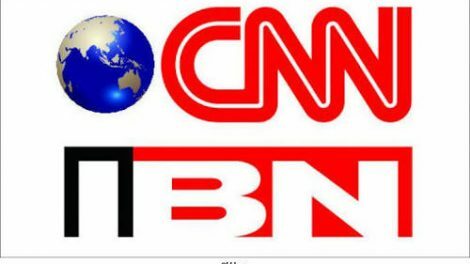 Apart from the news, the company itself comprises of the website and app business, the business and lifestyle channels such as NDTV Profit/Prime (said to be India’s first 2-in-1 channel) as well as NDTV Goodtimes. It also has an ecommerce venture, indianroots.com. While TV ad spending has slowed down, the company talks of capturing digital and mobile ad spends. About its revenues, it also says that it ‘has been primarily contributed by sponsorship revenue on NDTV Prime for the different bands and the upside received from the elections’. Revenue includes advertising sales, subscription revenue, event sales and others. These are better summed up as (from the Annual Report itself): Advertising revenue includes sale of commercial time for broadcasting of commercials, sponsorship with reference to association with a particular channel, band etc. Subscription income comprises revenue from Cable and DTH service providers, Hotels and from international operations. Event sales are derived from special programmes or events linked to awareness campaigns for social causes. In others, includes sale of fixed assets. All in all, not exactly a point where the poster boy of Indian journalism wanted to end up. Next time, another channel. Hyderabad to dethrone Bangalore as the Silicon Valley of India? After Microsoft launched its only development centre outside the US in Hyderabad, Google is following suit. 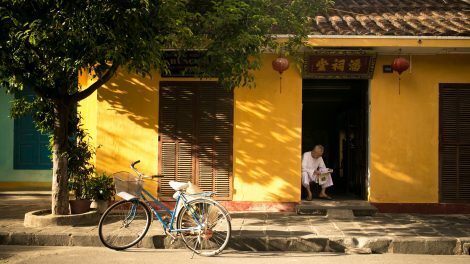 Google’s first such facility in Asia — one of its biggest outside the United States – will be made operational by the summer of 2019. The tech giant has signed an MoU with the government of Telangana to build a facility of two million sq ft at an outlay of Rs 1,000 crore. Once operational, it will hold up to 13,000 employees - double the company’s present strength in India. The interesting part is that Google’s facility is planned barely a stone throw away from the Microsoft facility. With the Telangana government keen on transforming the city into a tech hub, more suitors are expected to follow. During an event on 8th March, Xiaomi sold more than 2 millions smartphones in 24 hours. Yesterday, the company hosted a 12 hour "Mi Fan Festival 2015" across 7 countries in Asia and raised a total sales of 2.12 million smartphones with a revenue of over $335 million. Xiaomi also sold 38,000 Mi TV's as well as 770,000 smart appliances, including their recently announce Mi Smart Scale. Such effort helped breaking its previous best for a "flash sale event" and signed itself into the Guinness Book of World Records. A fan day was staged for the first time in India, Indonesia and Malaysia this year, proving that Xiaomi is an extremely successful internet company and an e-commerce model. Xiaomi regularly hosts parties and events, and invites hundreds of (unpaid) fans, maintains an active forum, solicits feedback and also pushes out weekly software updates based on interaction with the users. The smartphone company has successfully achieved its aim to reach the targeted markets, budget-conscious customers such as in India, China and Indonesia by selling low-cost smartphones and tablets. Expecting sales to reach 100 million this year (as it sold more than 60 million smartphones last year), the company now ranks 3rd among the global smartphone makers. The history of Microsoft began on 4th April, 1975. Being one of the biggest software makers in the world, it celebrates its 40th anniversary today. Microsoft has traveled a long way down the road to bring about revolutionary changes in the lives of human beings. From a common man, to being one of the richest persons in the world, Bill Gates and Paul Allen invented the "ALTAIR BASIC" as one of the first products of Microsoft in 1975. The commonly known Windows OS was released much after that (approx. 10 years later). Bill Gates therefore sent a letter to all its employees, talking about the company's future and vision under the guidance of Satya Nadella (the CEO of Microsoft). Below is the full letter. Tomorrow is a special day: Microsoft's 40th anniversary. Early on, Paul Allen and I set the goal of a computer on every desk and in every home. It was a bold idea and a lot of people thought we were out of our minds to imagine it was possible. It is amazing to think about how far computing has come since then, and we can all be proud of the role Microsoft played in that revolution. Today, though, I am thinking much more about Microsoft's future than its past. I believe computing will evolve faster in the next 10 years than it ever has before. We already live in a multi-platform world, and computing will become even more pervasive. We are nearing the point where computers and robots will be able to see, move, and interact naturally, unlocking many new applications and empowering people even more. Under Satya's leadership, Microsoft is better positioned than ever to lead these advances. We have the resources to drive and solve tough problems. We are engaged in every facet of modern computing and have the deepest commitment to research in the industry. In my role as technical advisor to Satya, I get to join product reviews and am impressed by the vision and talent I see. The result is evident in products like Cortana, Skype Translator, and HoloLens -- and those are just a few of the many innovations that are on the way. In the coming years, Microsoft has the opportunity to reach even more people and organizations around the world. Technology is still out of reach for many people, because it is complex or expensive, or they simply do not have access. So I hope you will think about what you can do to make the power of technology accessible to everyone, to connect people to each other, and make personal computing available everywhere even as the very notion of what a PC delivers makes its way into all devices. We have accomplished a lot together during our first 40 years and empowered countless businesses and people to realize their full potential. But what matters most now is what we do next. Thank you for helping make Microsoft a fantastic company now and for decades to come. ~Bill Gates (Founder of Microsoft) Even after 10 years from today, this letter will continue to be an inspiration for the youth and tell them to bring about a revolutionary change with their ideas and creativity. What's next is what matters!